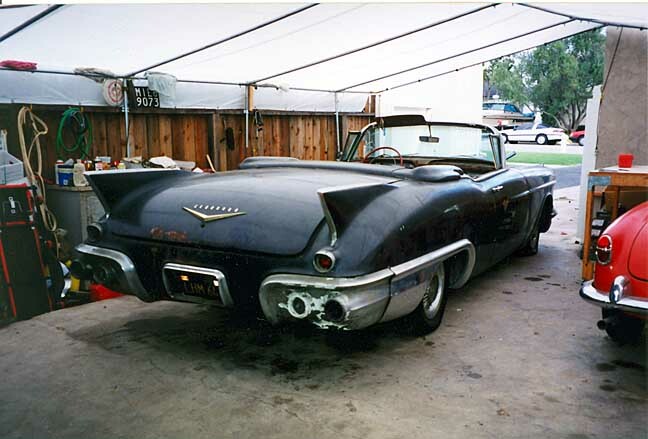 The very first time I met Mrs. P. she told me about a 1957 Cadillac Eldorado Biarritz that she had bought in 1958. The way she talked about it, it sounded like her former pride and joy was long gone since she hadn't driven a car in over 30 years. When she told me it was still in her garage, I couldn't believe it. 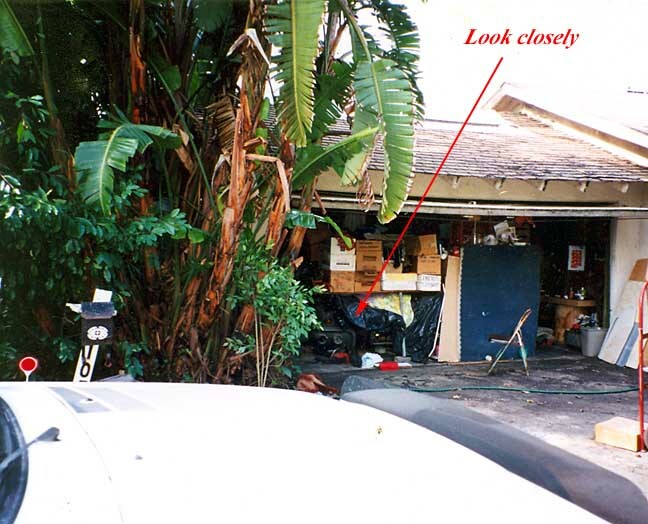 The garage door was so overgrown with weeds and bushes, it looked like it hadn't been open in a REALLY long time. 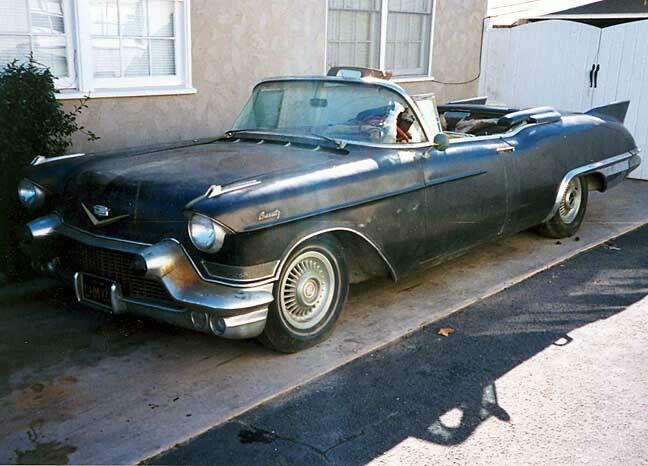 Of course I pursued the purchase of the Caddy, but she was not receptive to even showing it. 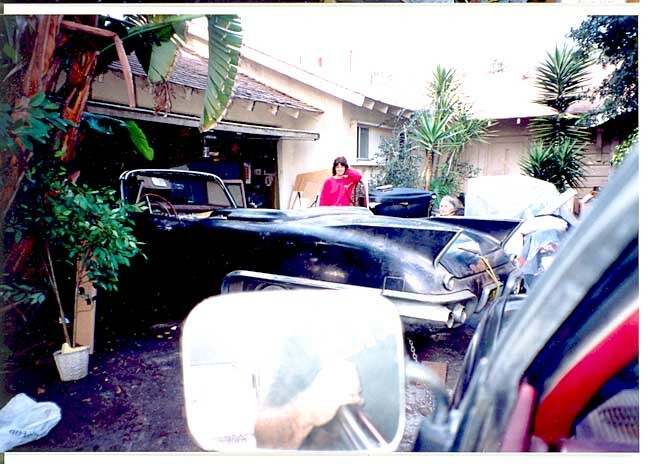 One day, she actually asked me if I would like to see the Cadillac, so I went over to her house with a friend and we spent about an hour clearing a path for the garage door to open. What we saw was unbelievable. You couldn't even see the car until your eyes adjusted to the light. 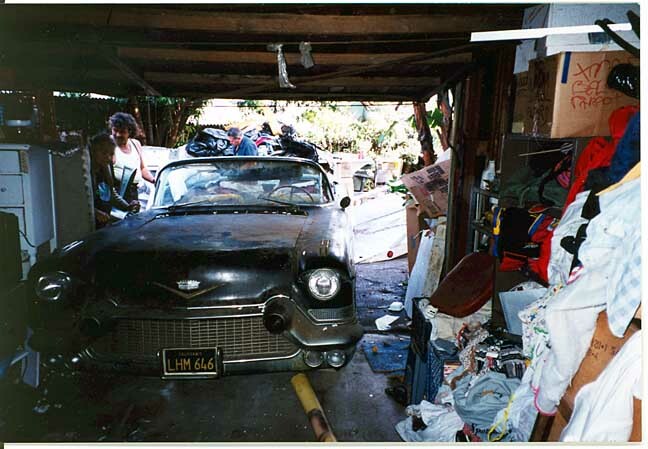 The photo above shows the car as found, but not for sale. 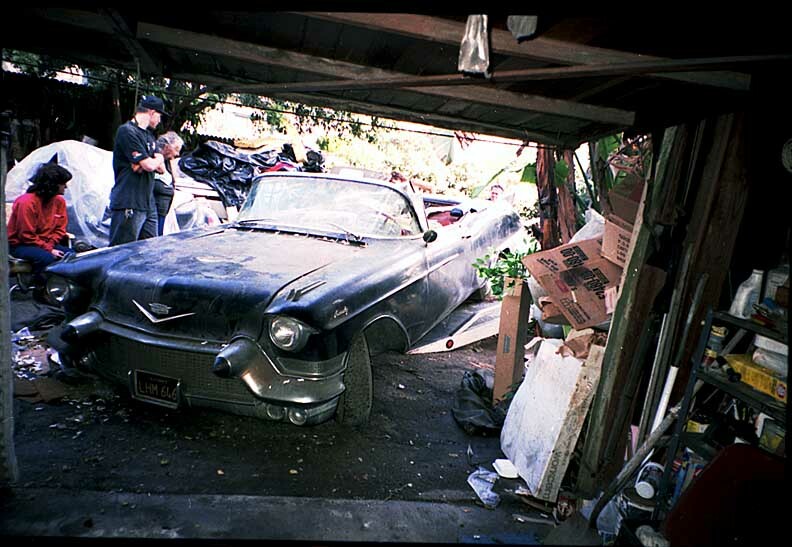 It took a couple of hours to uncover the Cadillac enough to move it. There were boxes and boxes of stuff piled on it. I hooked a chain to the rear axle and pulled the car out with my truck. Here it is going on the flatbed, ready to roll. Below are some photos of the car in better light. 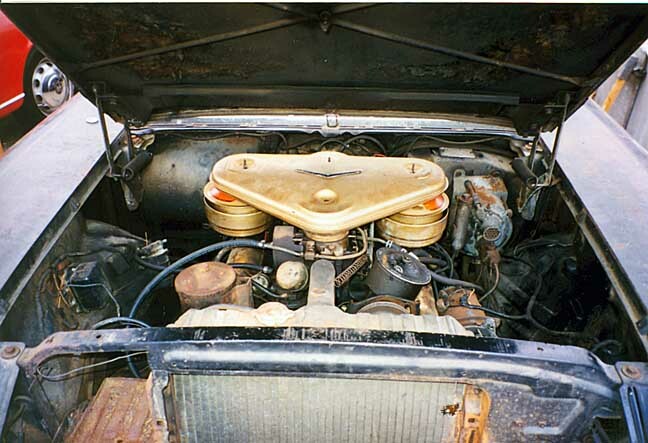 It had the "batwing" air cleaner, two 4 barrels, and the parade boot, all intact. 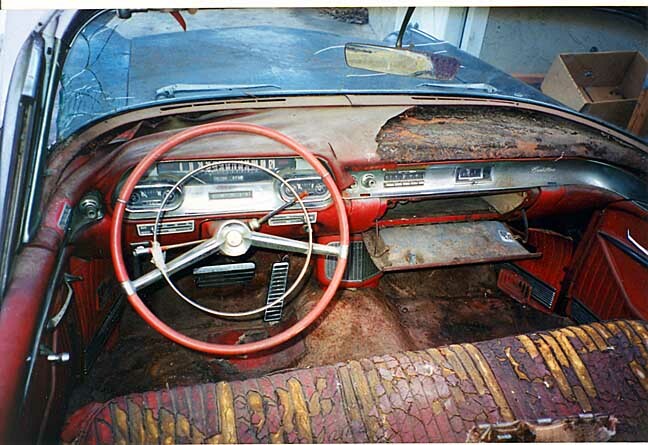 The car was 100% original-paint, interior, top, everything.